On Wednesday, the US Mint announced the America the Beautiful Quarter Series, a 56 quarter series to “honor” national parks in the 50 states, District of Columbia, and territories. As part of the announcement, the US Mint announced the schedule of the national parks and historic areas that will be depicted. According to the US Mint, a “restored” version of the 1932 portrait of George Washington designed by John Flanagan. Either this could mean that the Mint engravers will either fix the “spaghetti hair” portrait of the 50 State Quarters or change it to resemble linguini. Pardon me if I fail to show excitement. We just finished the State Quarters program and had the DC and Territories Quarters added to the end. 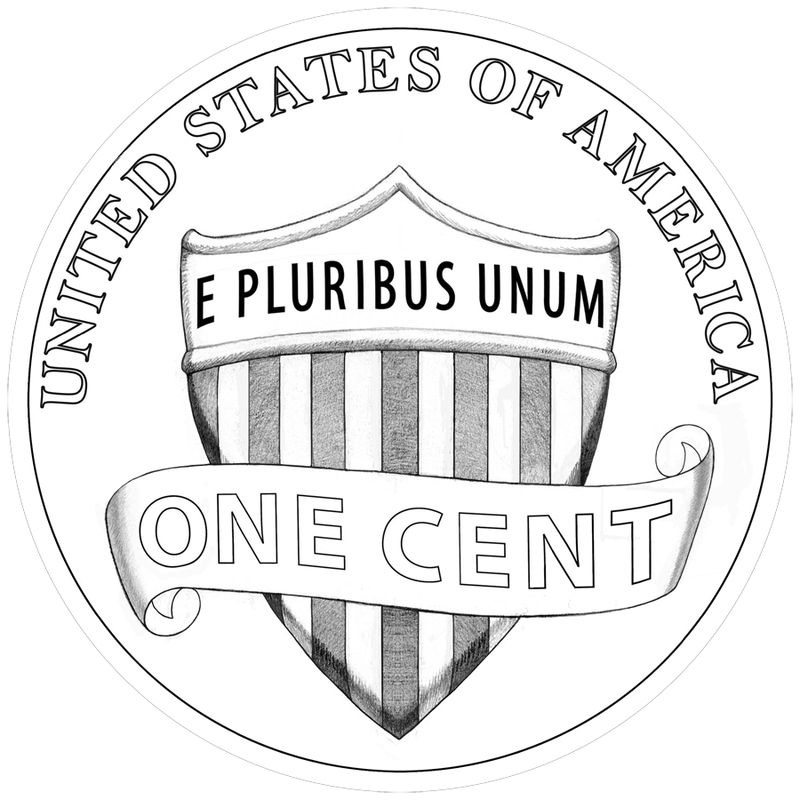 This year we celebrate the bicentennial of Abraham Lincoln’s birth and the century anniversary of the Lincoln Cent. The Presidential $1 Coin series is in the middle of some of the dullest presidents in US history. And we cannot forget the Native American $1 Coin that probably has the best reverse design of all 2009 coins. Including the circulating coins without rotating reverses the total is 18 different coins being struck this year. Although I did enjoy the 50 State Quarters series, I think reusing the same concept over and over again becomes dull. With no disrespect to the sites selected for the impending quarter series, I would rather see a single design that could become an iconic and lasting symbol of our generation [rather] than another collection of 56 designs representing 56 different things. Let’s think of these quarters as a stimulus package for the collecting suppliers who will sell new folder and albums to house the coins in this series. Below is the B-roll provided by the US Mint. Starting around 2:23 of the clip are scenes from within one of the branch mints showing the production of quarters. I went to my bank and branches of three other banks to look for rolls of Martin Van Buren dollars and Lincoln Birth and Early Childhood cents. I know that the William Henry Harrison dollars are the current issue, but I was not able to find Van Buren dollars when they were in active release. One bank I went to had just emptied the cent bags from its coin counting machine. The teller showed me the three bags of cents that will be sent to their contractor to be counted and sent back to the Federal Reserve. They did have Harrison Dollars and some John Quincy Adams dollars, but no Van Burens. A teller in another bank showed me a box of cent rolls they just received from the Federal Reserve. All the rolls had mixed coins, no new cents. I also asked for District of Columbia quarters. Only one bank had a roll. I have heard that Lincoln cents have started to be found in pocket change west of the Rockies and DC Quarters in the northern midwest states. But friends living throughout the Northeast Corridor have not found any of these coins in change. Last year, I found my first 2008 coin in mid-June. Other than the special distribution of dollars and quarters, I don’t expect to see 2009 coins until June or July. It is being reported that the Citizens Coinage Advisory Committee is considering changing the obverse of the America’s Beautiful National Parks Quarter Dollar Coins (Public Law Number 110-456 [GPO: Text or PDF]). My source pointed that that the law does not specify what is to be on the obverse of the coin only that the 1998 George Washington design. Rather than recommend a design with Washington on the reverse, the CCAC is considering honoring Theodore Roosevelt on the obverse. Duriung Roosevelt’s presidency, he was directly involved with the redesign of the gold coinage using the designs of Saint Gaudens on the eagle ($10) and double eagle ($20), Bela Lyon Pratt’s incuse design for the half-eagle ($5) and quarter eagle ($2.50) coins, and Victor David Brenner’s Lincoln Cent. The other Barber designs coin were retired by 1916. In addition to Roosevelt’s influence on coinage, he was instrumental in growing the number of national parks and protected areas in the United States. Roosevelt, who spent a lot of time in the Badlands in the Dakota Territory influenced his view by setting aside 42 million acres of national forests, 53 national wildlife refuges, and other areas including the Grand Canyon. Roosevelt started the program that lead to the National Wildlife Refuge system and established the US Forest Service to help maintain these natural resources. To honor Theodore Roosevelt’s conservation work and preservation of many national parks and refuges and his “pet crime” for his redesign of US coinage, it would be fitting to honor him on the National Park Quarters. As a fan of our 28th president and his work, I have advocated that Theodore Roosevelt be honored on US coinage. If the CCAC follows through with this recommendation, it would make the National Parks Quaters more palatable. Image of Theodore Roosevelt is from the White House website. A geographical rendition of the Virgin Islands, which includes the 3 major islands, and the official bird of the Virgin Islands (the Yellow Breast or Banana Quit (Coreba Flaveola) and the official flower of the Virgin Islands (Yellow Cedar or Yellow Elder (Tacoma Stans)) representing the natural wonder and beauty of our islands. These are placed on the background of a beach with the Tyre Palm (coccothrinax alta) native to the Virgin Islands, and the inscription “United in Pride and Hope” the Official Motto of the Territory found on the Virgin Islands Territorial Seal. “I am proud to forward a recommendation to The United States Mint for the Virgin Islands Commemorative Quarter design. After a three week-long voting period, Virgin Islanders have collectively selected an overall favorite design, and I thank the community for its participation in this truly historic process,” deJongh said. Three more territories to go! Ellington beat out designs honoring Frederick Douglass and Benjamin Banneker by a margin of 36-percent to 33-percent for Douglass and 31-percent for Banneker. Ellington was the only native of Washington, DC of the group. Then it was questioned as to who should appear on the quarter to represent the District of Columbia. While Ellington, Douglass, and Banneker have various ties to the District, none could have been said to have really defined the District. In reality, Ellington’s major accomplishments occurred in New York, Banneker was from Maryland, and while Douglass’s work was important, it had nothing to do with the District itself. Over the last few months, I have been trying to convince anyone who would listen to me to change the design to honor Walter E. Washington. Washington was the first Mayor of the consolidated District of Columbia (Georgetown had its own mayor at one time) under the DC Home Rule Act of 1973. As the last appointed commissioner of the DC, Washington faced the rioters following the assassination of Dr. Martin Luther King, Jr. refusing to shoot them, as recommended by FBI director J. Edger Hoover. Washington worked with city leaders in their push for home rule. If the DC activists, including Mayor Adrian Fenty, wanted to make a statement, placing Mayor Washington on the quarter would have given them the opportunity to speak about Home Rule and the problems the city has faced since. I love Duke’s music, but I think Walter E. Washington would have been a better choice.